Who doesn’t like rubies? Not you, that’s for damn sure, not when you’re a merchant in the bustling bazaar of Istanbul, trading in spice, fruit, fabrics, and jewelry to amass as many of the red gemstones as you can by the close of day. This is Istanbul in a nutshell, a particularly odd race conducted with a group of assistants by hopping around on a 16-tile modular board. A winner of the prestigious Kennerspiel des Jahres, Istanbul is a routing game of pickup and delivery. Each player sets out from the Fountain with their wheelbarrow and a train of assistants, moving to the various services of the bazaar to conduct business there. At each stop, the player takes the benefits of the tile, leaving an assistant behind to conclude the nitty-gritty end while the player moves on. Each move requires the player to either leave an assistant or collect one, meaning your original route around the board becomes the path you’ll need to at least partially retrace. This ingenious mechanic shapes tactics and makes choices deeper than their immediate benefits. Players can also move to interfere with one another; if someone else is already conducting business when you arrive, you owe that player a coin for your rudeness. A roving Governor and Smuggler provide opportunities for further benefits – the Governor is willing to part with a bonus card, while the Smuggler will happily trade or sell goods. Ultimately, however, the goal is rubies – the first player to hit the target number (five normally, six in a two-player game) is the victor, after all. The Sultan will happily gift a ruby to the merchant who delivers the goods he desires, though he becomes increasingly hard to please the more rubies he has already given away. Similarly, the Gemstone Dealer will sell rubies for cash, but as rubies become a hotter commodity the price will increase. Players can also earn a ruby for repeated patronage at the Wainwright, where you can improve your wheelbarrow to carry more goods. Finally, the Small and Great Mosque both offer one-time rubies to those who provide appropriate gifts. Much of the action will likely center on the Gemstone Dealer and Sultan’s Palace, meaning players will desire to solidify routes for reliable cash flow or goods supply, respectively. There’s a lot going on with this game, and production values are very high; sixteen tiles make up a modular board with three suggested configurations, and information is tracked for two Mosques, two Markets, the Post Office, the Police Station, the Caravansery… needless to say, at setup this game can seem tremendously intimidating. 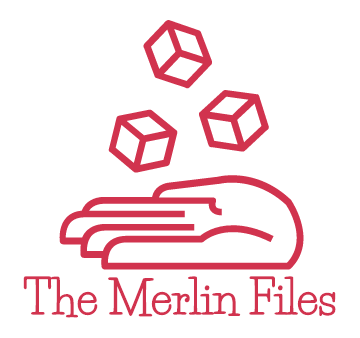 Surprisingly enough, it all comes together rapidly and rather cleanly – while some elements will take a little while to adapt to, much of the game is immensely straightforward. Istanbul’s central mechanic is also an excellent learning aid, as choices will naturally diminish the further you have moved. The need to collect assistants helps focus turns and clarifies which strategies are paying off and which are less useful when one has to double back. Tactical flexibility is further enhanced with Bonus Cards, which offer simple boons and can be retained until needed. 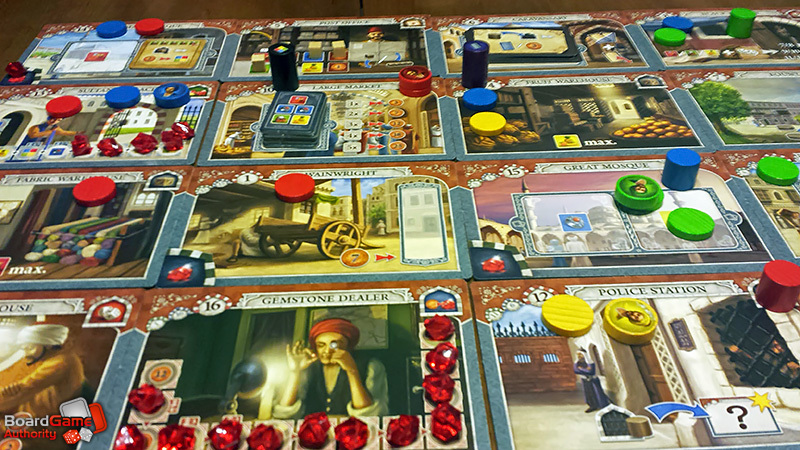 Overall, Istanbul is a heavy game that ends up playing a bit lighter than it might seem, to its immense benefit. Despite how much is on the board, action paralysis is relatively mitigated, and there are a lot of avenues to victory. It’s a bit thin thematically, being a pure Eurogame (games with city names tend to be like that), but as an every-so-often play it’s a high-quality game. There’s a lot of appeal and replayability in this box, and the game comfortably extends to a fifth player. If you have the opportunity, Istanbul is definitely worth a try. One of the truly good games I have played recently. Very true that it plays lighter than it is. Solid game. I really like that you can usually still follow through with your plans even if someone is in your way, you just have to evaluate if the penalty coin(s) is worth paying. The choices are interesting/difficult at times, but the game manages to move so well since your neighbor’s turns rarely affect yours.